It has been confirmed this evening that John Delaney has voluntarily stepped aside from his role with the FAI pending an investigation. In a statement released by the FAI after a prolonged meeting today at the Carlton Hotel, Dublin, the association confirmed the news. John Delaney's role in the association has come under question since reports emerged that he had given the FAI a short-term €100,000 loan in 2017. In the aftermath of those reports, he left his role as Chief Executive to take up a newly created Executive Vice President position. 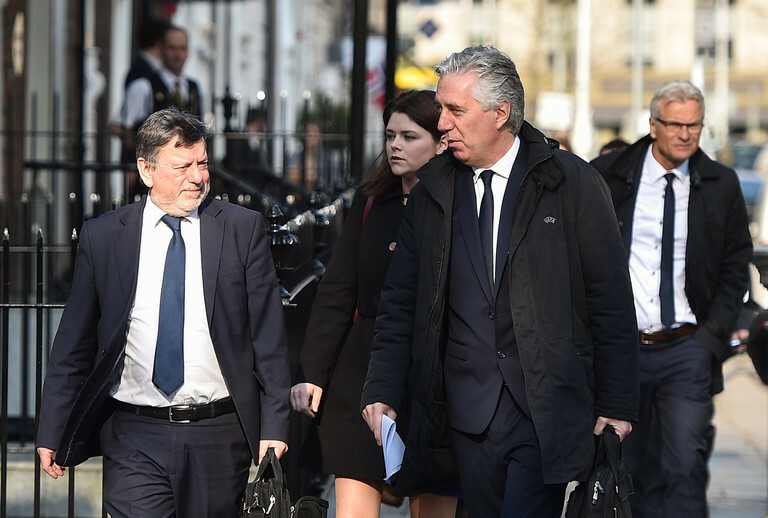 Delaney and other members of the FAI board came under further pressure this week following their appearance at an Oireachtas hearing on Wednesday. In the almost eight hour hearing, John Delaney did not answer questions relating to the €100,000 loan after receiving legal advice. He also was reluctant to address his time as chief executive of the FAI, a role he only left three weeks ago after over 14 years in the position. Meanwhile, FAI sponsors Three had issued a statement expressing their concern with the 'corporate governance' within the organisation. A number of fan protests against Delaney have taken place in recent weeks, including the throwing of tennis balls onto the pitch in the recent Euro 2020 qualifier against Georgia at the Aviva, while there were some unsavoury scenes when a 'Delaney Out' banner was unveiled at Turner's Cross on Friday night.